Why buy a new personal monitor every year or two? 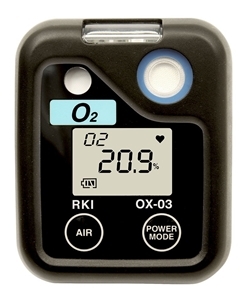 The 03 Series Single Gas Personal Monitors have sensors for LEL and O2 that have a life expectancy of over 2 years, while the sensors for H2S and CO have a life expectancy of over 3 years. The replacement sensors are inexpensive, easily field replaceable, and are interchangeable with other popular RKI instruments like the GX-2009, GX-2012, and GasWatch 2. The 03 Series Single Gas Personal Monitors are designed for LEL, O2, H2S, or CO detection and come in a number of configurations.